Because if you love your linens, they'll love you back. If you're anything like us, you love being in bed--breakfast in bed, moving night in bed, working from, yes, bed! It's the place that you begin and end your day, so why not make it the most cozy place possible? 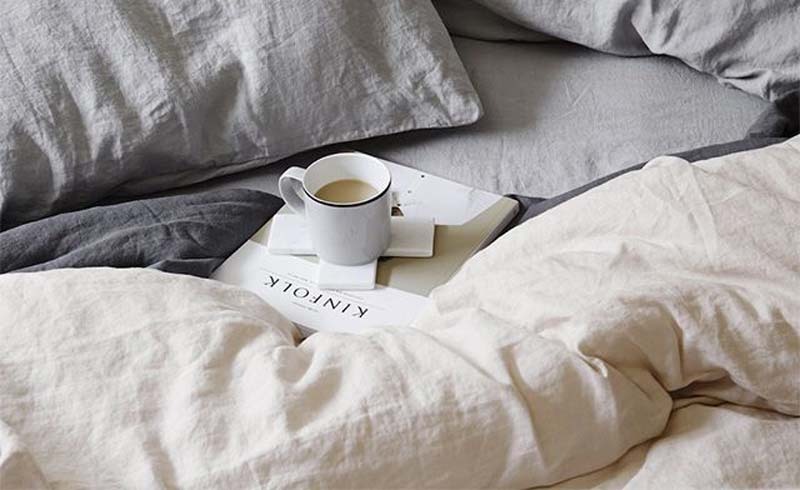 We're strong believers that real linen sheets are the way to make your bed its best as it's ideal for both hot and cold sleepers (relationship saver?) and only gets better with time, so it's worth the investment. Wash them gently: Wash linens in warm water on a gentle machine wash. Do not bleach or soak! Nor dry-clean! Before you sleep in your new bedding, make sure to give them a good wash--not only will it ensure they're clean, but regular washing of linen only makes them softer and much more snuggly. Keep your detergent gentle: Take care to not use washing detergents with optical brighteners, which can also cause fading of natural fabrics. We prefer detergents that are natural and dye-free. Line dry: If line drying, hang close to the edges, like any sheets they will dry with a crease where they have bent over the line however, this will disappear after one night sleeping in them. Try using classic clothespins to fasten them to the line. Tumble dry, as an alternative: If tumble drying, use a warm setting. Pull out promptly when finished and stretch out over the bed. Warm iron if desired. Safeguard Fading: Just like furniture, rugs and art, try to keep your linens out of prolonged direct sunlight to avoid fading. If that's not an option, stick to lighter colors and rotate the pieces to safeguard from uneven fading. 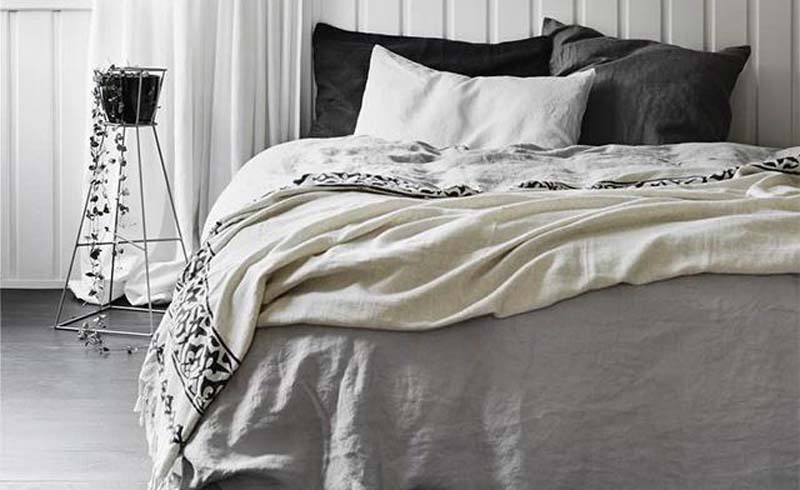 Tip: Seek linens that are enzyme treated to further reduce fading.